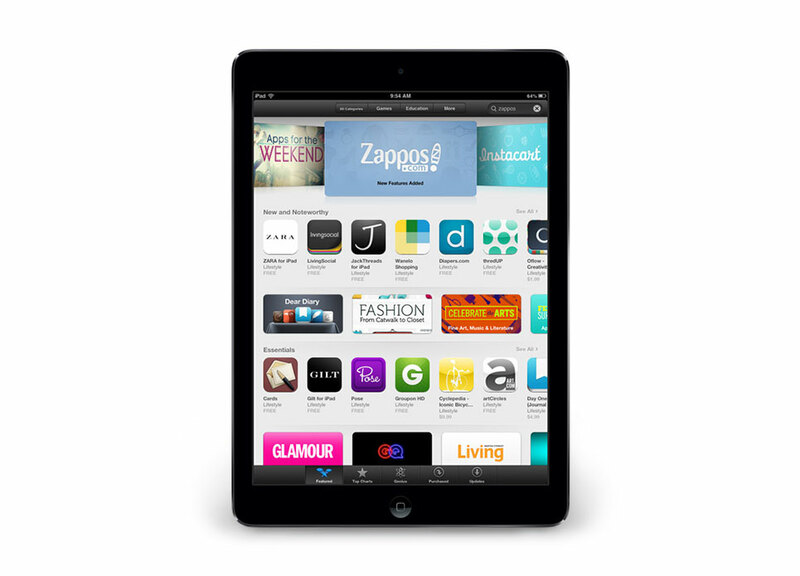 When the long day ends and you’re chillaxing on the couch, the Zappos iPad app is an ideal way to surf for something new! And when you don’t know what to give, get a gift card or gift certificate! 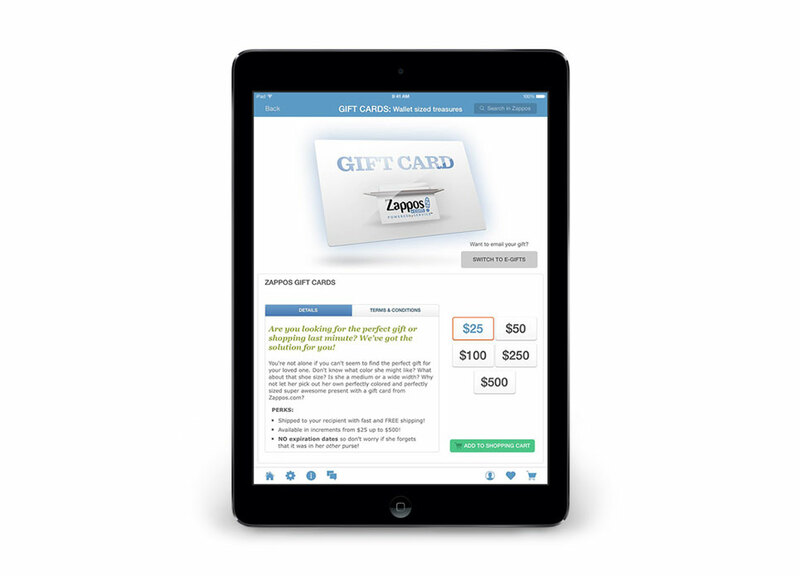 I designed this page to make an intangible item seem more tangible and to make switching from gift cards and gift certificates both clear and convenient. The app has been featured in the Apple App Store and enjoys a 4.5 star rating with over 35,000 reviews!